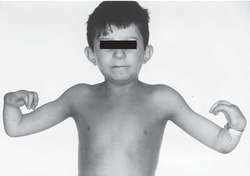 a rare, usually congenital disorder transmitted as an autosomal-recessive trait, characterized by aplastic anemia in childhood or early adult life, bone abnormalities, chromatin breaks, and developmental anomalies. Children begin to show symptoms between 4 and 12 years of age. Also spelled Fanconi's anaemia. Also called congenital pancytopenia, pancytopenia-dysmelia. 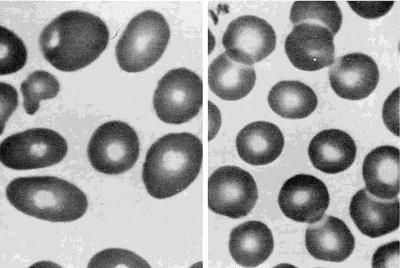 Fanconi's pancytopenia Neonatology A rare and often fatal inherited disease in which the BM fails to produce RBCs, WBCs, platelets, or a combination thereof, which may with time evolve toward a myelodysplastic syndrome or leukemia. An inherited form of aplastic anemia. Effect of superoxide dismutase and catalase on spontaneously occuring chromosome breaks in patients with Fanconi's anemia. Cytogenetic toxicity of antitumor platinum compounds in Fanconi's anemia. Bone marrow assessment may determine the absence of erythroid and nonerythroid cell precursors, which will support the diagnosis of hyporegenerative or arregenerative disorders, such as Diamond-Blackfan anemia or Fanconi's anemia (Hermiston & Mentzer, 2002). Cord blood has been used to treat several types of leukemia, as well as Fanconi's anemia and other genetic disorders, and doctors are preparing to test its effectiveness on sickle cell anemia. Chandler founded Children for Tomorrow six months after the national registry began to help search for a marrow donor for her 18-year-old daughter, Amanda, who suffers from Fanconi's anemia, a genetic form of Steven's disease. Twenty years ago, cord blood stem cells were used to treat just one disease, Fanconi's anemia, but today there are nearly 80 diseases treatable with cord blood stem cells, including cancers, certain blood disorders and immunodeficiencies. In 1988, a three-year- old girl received a cord blood transplant to treat Fanconi's anemia.